Implementing organizational and cultural changes in order to execute new strategies are imperative skills for effective leaders in the dynamic and ever changing independent food industry. The NGA Foundation Executive Leadership Development Program (ELDP) is designed to develop and prepare leaders to face business challenges in the 21st century marketplace. The conference is a high-impact learning opportunity encompassing intense, interactive instruction presented by a mix of respected academic and industry leaders. Nominations for the 2019 ELDP Program have now closed. If you would like more information about the 2020 even please contact nga-foundation@nationalgrocers.org. Outstanding leaders create a vision for others and have the ability to translate it into a lasting reality. Initiating and implementing organizational and cultural changes in order to execute new strategies are imperative skills for effective leaders. 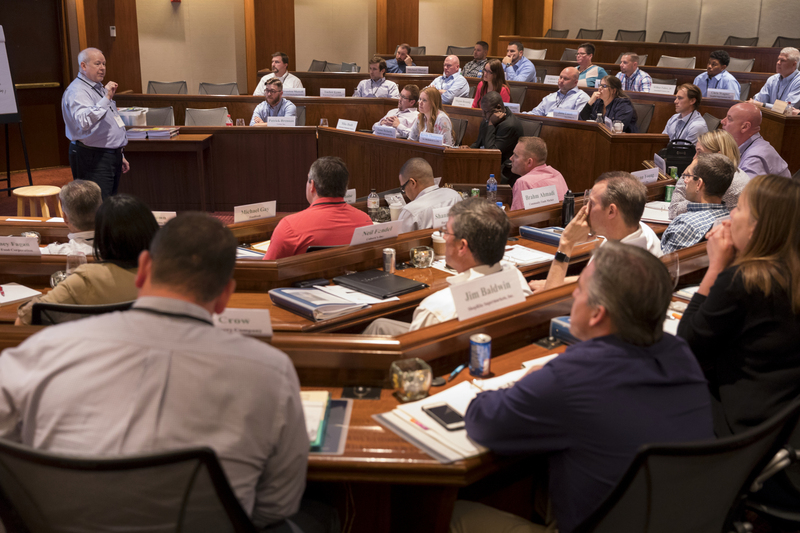 The NGA Executive Leadership Development Program helps retailers and wholesalers develop leaders from within their organizations who can respond to business challenges in the 21st century marketplace. Current mid to upper-level executives with large spans of control and responsibilities that require delegation of tasks to others. These employees must be rising executives who are candidates for increased “people” and general management responsibilities. The four basic paradigms of leaderships are examined and discussed. Success and derailment is explored within the context of career transition. The importance of feedback is explored and specific feedback instruments (Firo-B and Benchmarks) are introduced and discussed. Trained coaches answer questions regarding the Firo-B and Benchmarks 360 assessments. The critical differences between Management and Leadership are detailed and discussed and the consequences of imbalance are highlighted. A case study format is employed to explore the method leaders use to build followership strategies and leverage the human assets in their organizations. The link between leadership and strategy is discussed and the importance of strategy in adapting to a changing environment is emphasized. The critical differences between an executional focus vs. a strategic focus are explored. An interactive case study is employed to refine participants’ thinking about personal leadership style. The critical dangers of Group Think in entrepreneurial organizations are the focus of an interactive group exercise. Concrete strategies for organizational decision making and the avoidance of Group Think are presented. Participants are encouraged to “connect the dots” and begin definitive steps toward the development of a personal leadership skill development plan.